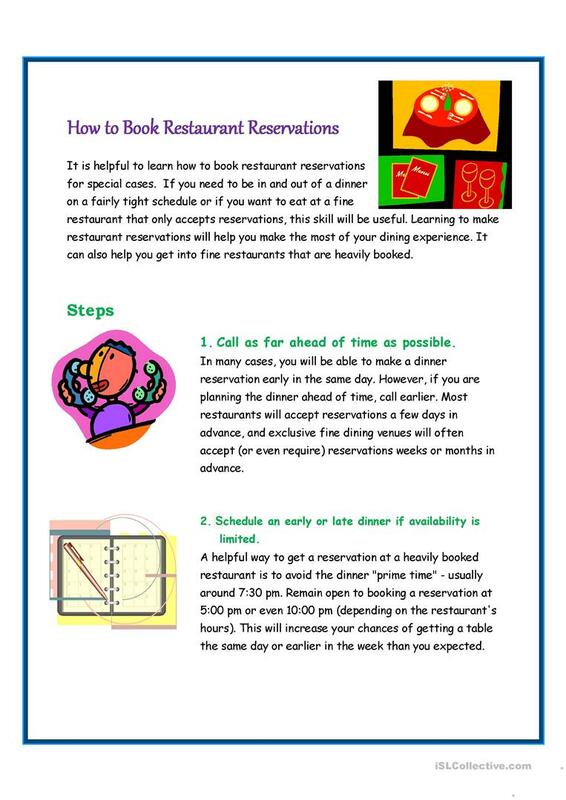 This activity gives tips to students on how to book restaurant reservations in English. The first part is the steps/tips. 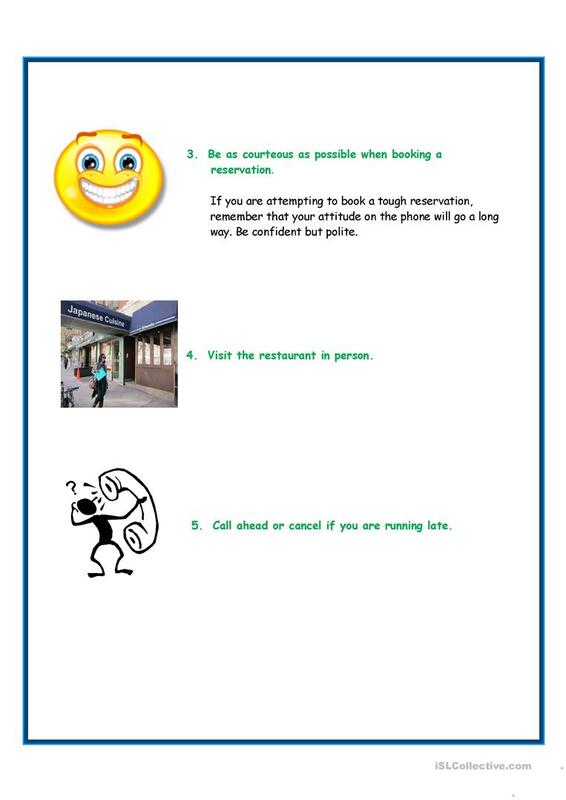 Second,Making a Reservation dialogue. 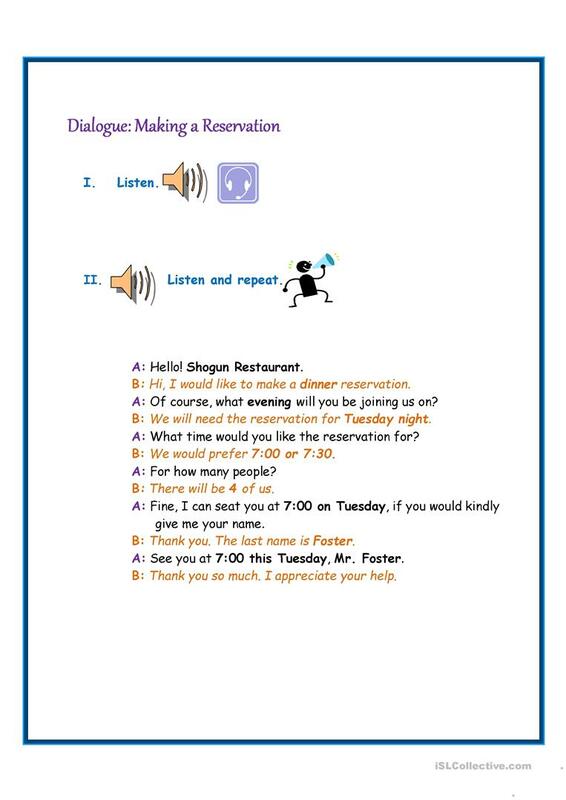 You can read and record the dialogue or read it directly to the students. Next is the gap-fill exercise. Then have the student make their own dialogues. Let them do self/peer error correction. Lastly, encourage them to try it and ask for feedback in the next class. The present downloadable teaching material is meant for business/professional students, high school students and adults at Beginner (pre-A1), Elementary (A1), Pre-intermediate (A2), Intermediate (B1), Upper-intermediate (B2) and Advanced (C1) level. It is valuable for teaching Nouns in English, and was designed for improving your learners' Listening, Spelling, Speaking, Reading and Writing skills. It is focused on the vocabulary topic of Time. It includes the solutions, too.